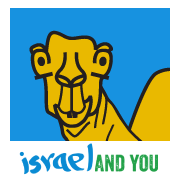 You think Israeli politics is confusing? 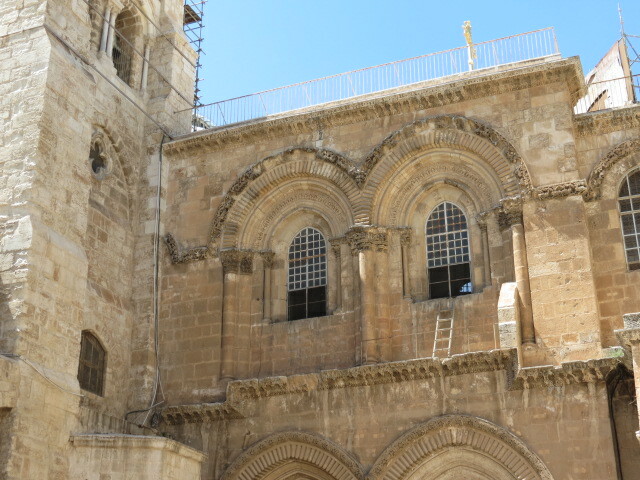 Wait till you visit the Church of the Holy Sepulchre in the Christian Quarter of the Old City of Jerusalem. Different Christian denominations within the church each control a part of it: Catholics, Armenian, Greek Orthodox, Syrian Orthodox, Coptic and Ethiopian. The key to the main door is held by neighboring Muslim families since 1187. Historically they used to sit in the entrance to the Church of the Holy Sepulchre, manage the church, and mediate between the different denominations. For instance the argument between the sects over the removal of a ladder forgotten on the window sill above the entrance. Ask your guide to show it to you. 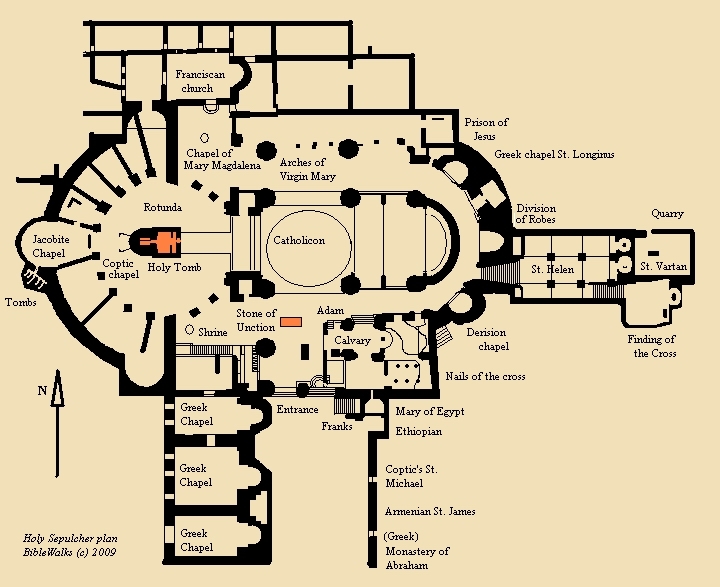 Behind the tomb of Jesus, on the western side of the Holy Sepulchre Rotunda walls, is the Jacobite (Syrian Orthodox) chapel. This sect obviously does not have the funds for repairs. The chapel looks more like a Syrian battle zone. 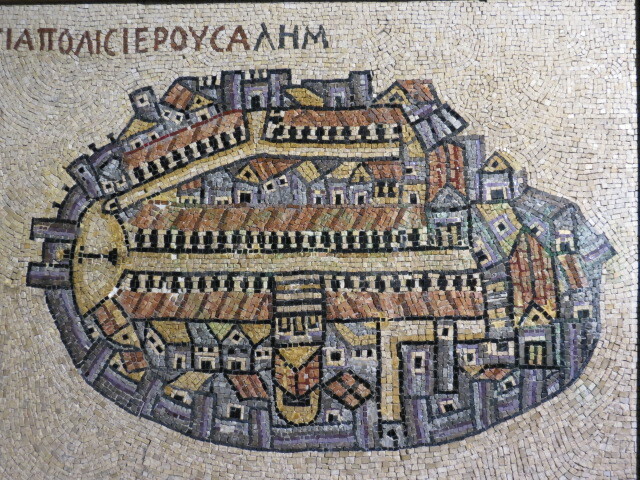 The chapel is located in the 4th Century C.E. Constantine church walls. The walls and altar were damaged by fire. On the southern side of the chapel are typical 1st Century C.E. Jewish tombs. According to Christian tradition, they are of Joseph of Arimathea and Nikodemus who took down and buried the body of Jesus (Luke 23: 50-56). The Syriac (or Syrian Orthodox) Church of the Antiochene Rite is the direct heir of the ancient Judeo-Christian Church, and today represents Syriac (Aramaic) speaking Christians spread throughout many Middle Eastern countries. The language of its liturgy is Syriac, a language closely related to Aramaic, the ancient language spoken by Jesus. Syriac is similar to Aramaic but with a different alphabet. A number of dialects of Aramaic remain in use today in large Aramaic-speaking communities in Syria, Iraq, Turkey and Iran, and among smaller populations in Lebanon, Georgia, Azerbaijan and Israel. Aramaic “diasporas” also exist in Sweden and the United States, whose members are at the forefront of preserving it and speak the language.